Ottawa Society of Botanical Artists: Kerri Weller presents "The History of Botanical Art"
Kerri Weller presents "The History of Botanical Art"
Last night we had our first General Meeting with our new executive in place. We accepted the new Charter and planned future meetings with presenters for April, June, September, and November of 2013. It was decided that I should start a blog for the OSBA - of which this is our first post. Keri Weller, head of the Events committee and teacher and mentor of many of us, presented a slide show from the American Society of Botanical Artists, entitled "The History of Botanical Art". After this we all enjoyed a renewed feeling of being part of a noble tradition with Leonardo da Vinci, Albrecht Durer, Beatrix Potter, and many others, as well as being part of an exciting and flourishing field of fine art, having been introduced to the exquisite work of several living artists. 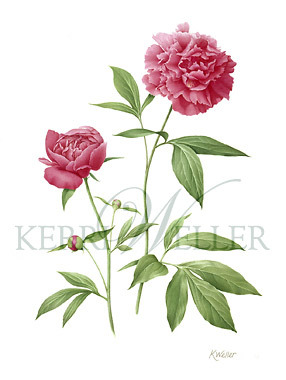 We are proud to have Kerri as our inspiration and mentor, and now that we've started the Ottawa Society of Botanical Artists, we look forward to sharing our experiences and our joy in botanical art through meetings, workshops, sketching trips, and exhibitions. I'm proud to be part of this group!